Welcome to the Conference Surveys site. 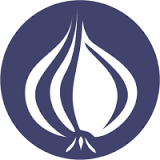 This site aims to be a central repository for the results of conference surveys that have been taken by attendees of The Perl Conference (formerly YAPC) and Perl Workshops series of events. Although initially developed for Perl community events, the surveys can be used by any other event. If you are organising an event, and wish to make use of our services, please get in touch. To understand more about the surveys themselves, please see our page About The Surveys for a more detailed explanation of the emails and types of surveys available. If you have feedback or questions regarding the individual surveys or this survey site, please direct email to Barbie. Would you like to use the survey software for your own conference or workshop? If so, we can host and manage an instance for you, especially if you use the Act system to promote and manage your event online. However, please note, that the use of Act is not a requirement, and alternative systems can provide the necessary data to prepare the surveys. Please contact Barbie, with details of your event. PDF documents contain addition notes and observations by the respective organising team. Raw data will be made available as soon as possible, once contents have been sanitised to remove any data that may identify an individual. Since 2008, the survey has provided the ability to rate individual talk sessions. The results of the data submitted for each talk is only made available to the speaker of that talk. Except where explicitly stated within the individual documents, all survey data and documents are considered copyright of The Perl Foundation and may be used under a Creative Commons Attribution Share Alike license. Site hosted by Birmingham Perl Mongers.